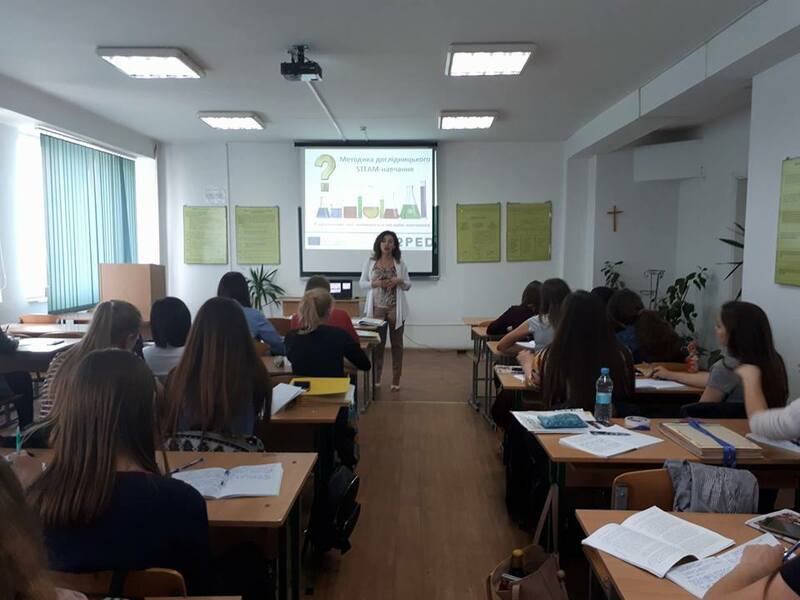 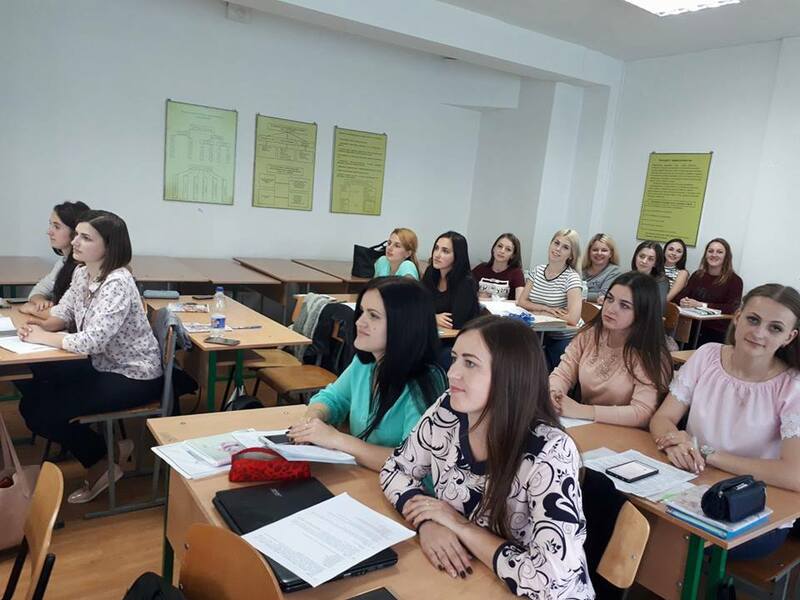 May 08, 2018 Information meeting-training within the framework of the EU Erasmus + KA2 project «Modernization of Pedagogical Higher Education by Innovative Teaching Instruments (MoPED)» № 586098-EPP-1-2017-1-UA-EPPKA2-CBHE-JP was organized for the students of Pedagogy Faculty. 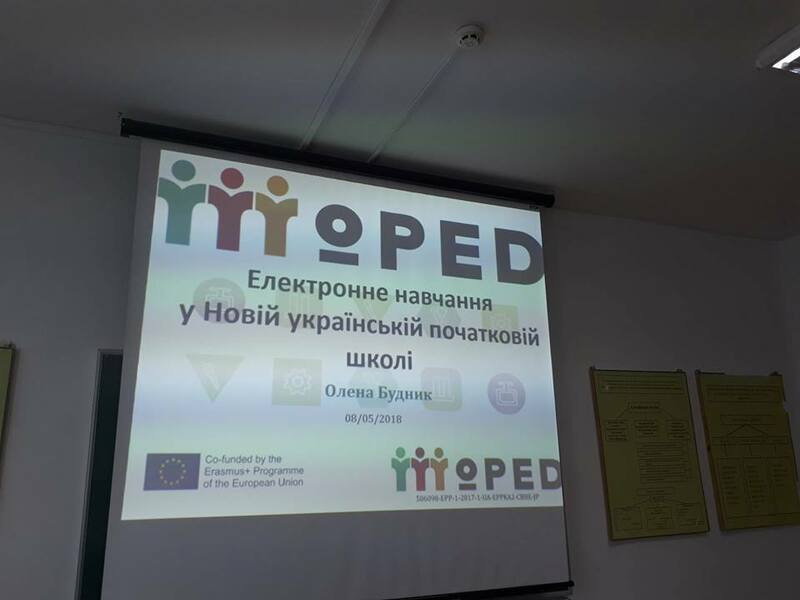 The head of the academic group of the project, professor Olena Budnyk in her speech informed the 4 year-students of Pedagogy Faculty (speciality «Primary Education») (groups PE-40, 42, 43) of the importance and kinds of e-Learning in primary schools, meaning of the notions: «digital pedagogy», «digital literacy», «digital competence», «online learning», «blended learning», «STEAM-subjects», «inquiry space», «distant learning» and others. 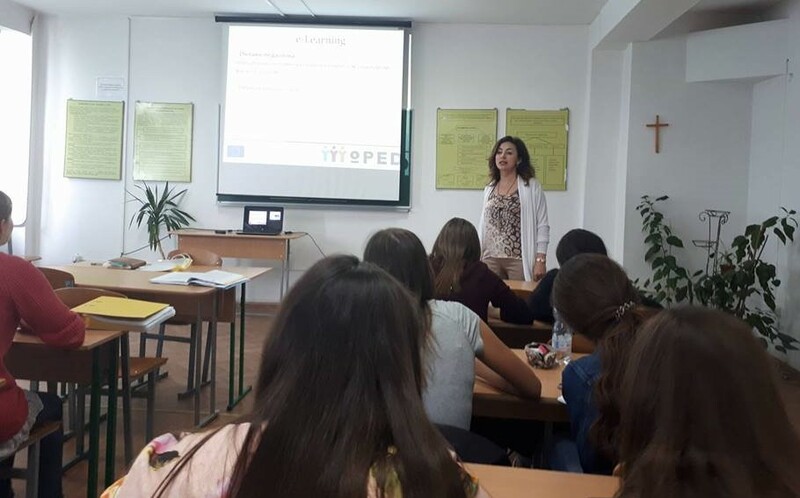 At the mini training on the title «Methods if inquiry STEAM-learning in New Ukrainian school» future teachers were acquainted with inquiry spaces developed in Ukrainian (ILS), worked out by teachers and students obtaining master’s degrees at PNU within the framework of the project (http://www.golabz.eu/spaces). 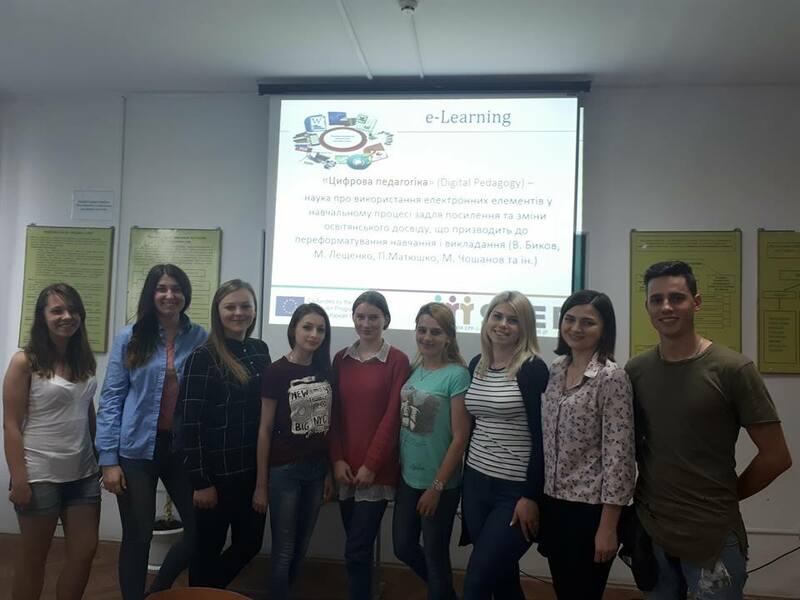 The most interesting for the students was the problem of usage of mobile learning with pupils of primary school.